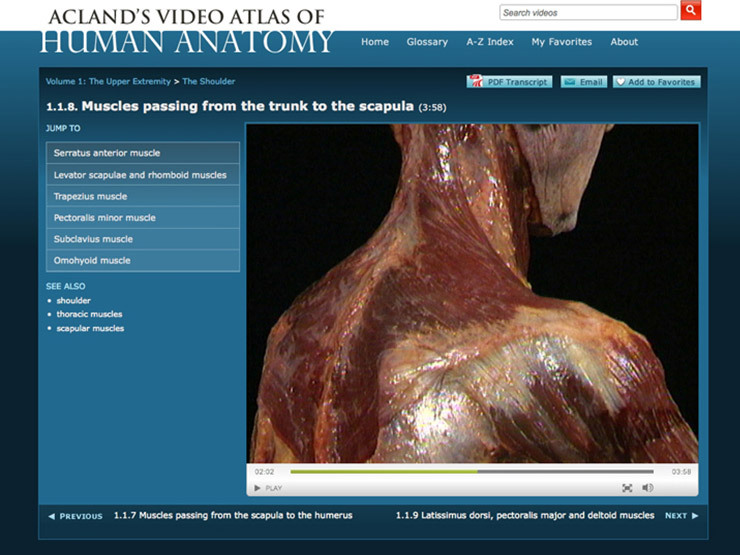 Supports the teaching and learning of anatomy with more than 300 narrated videos of REAL cadaver specimens. Your subscription gives you anytime, anywhere access—from any smartphone or tablet—while search and navigation tools make it easy to find the videos you need when you need them. Now available as video downloads the atlas series is an extremely navigable learning tool, with even higher quality audio and video resolution. All the dissections are of real, fresh, unembalmed human specimens. The true colour and texture of each structure is shown, just as it appears in the living body. Joints and muscles are shown actually moving as they do in real life. Once ordered we will send you a direct link and code so you can download the software. Please allow 2-3 working days to receive download code. Available as a 1 year subscription. View video tab above for more information.